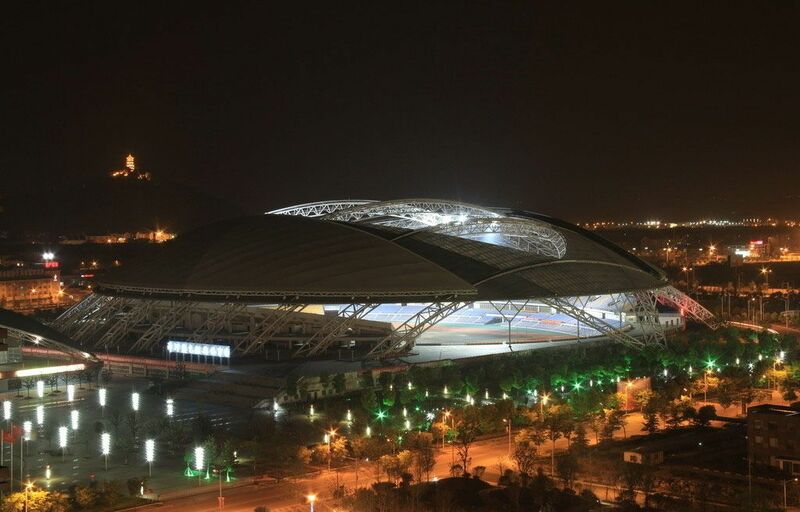 First ever retractable stadium roof in China was created in 2006, along with the new stadium in central Nantong, created for provincial multi-sport games. 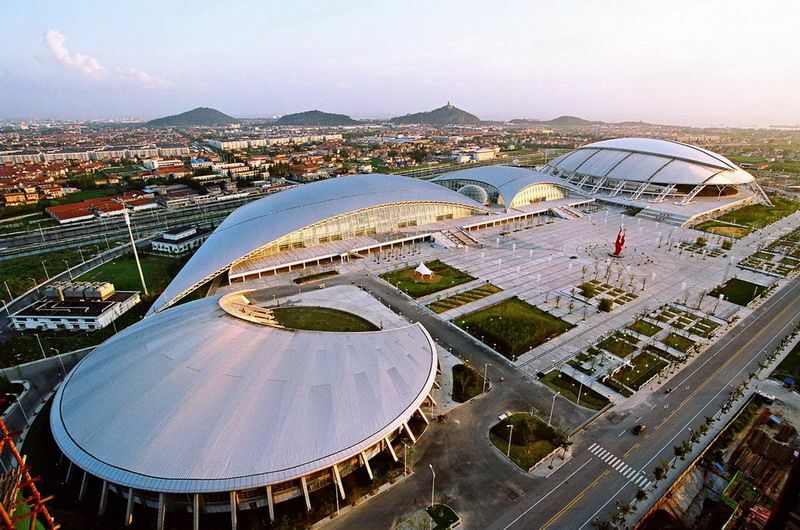 With the investment of over CNY 1.1 billion a huge sports complex was built, but despite numerous other buildings and functions within the project, it's the CNY 410 million stadium that stands out most. 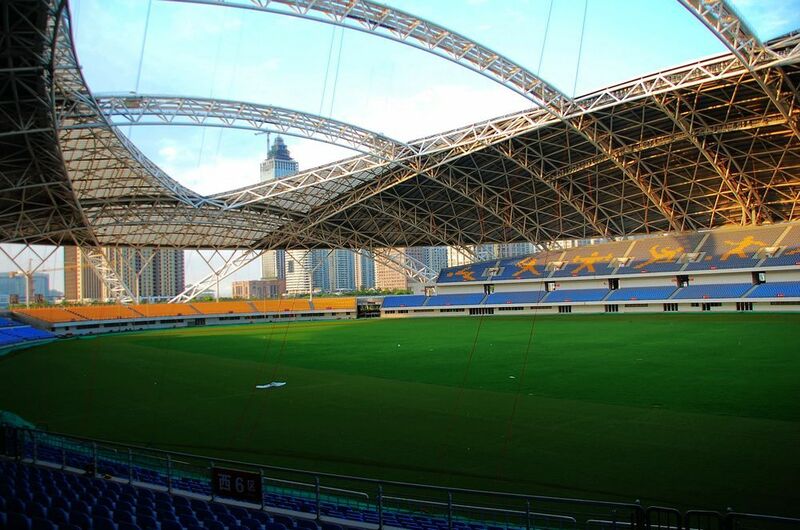 It's because of the roof structure, which is the first ever retractable cover to use hydraulic system in operation. 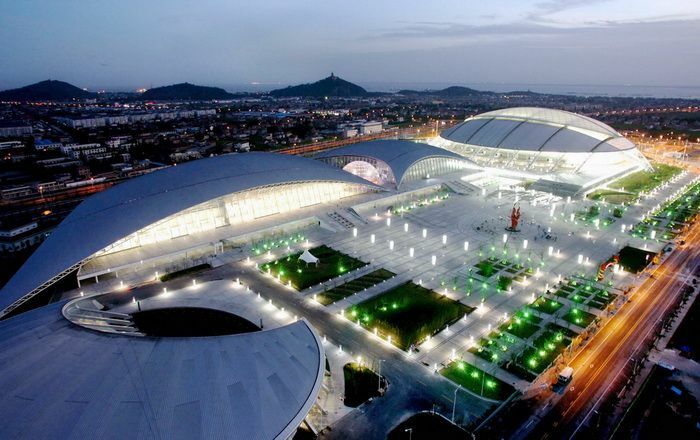 While it's somewhat slower than in some other stadiums (takes 20 minutes to open/close), it's also very cost-efficient. 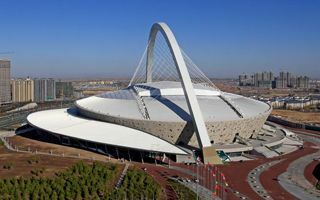 A single closing/opening of the dome generates a cost of roughly CNY 800 despite the vast surface of 17,000 sqm of the mobile segments. 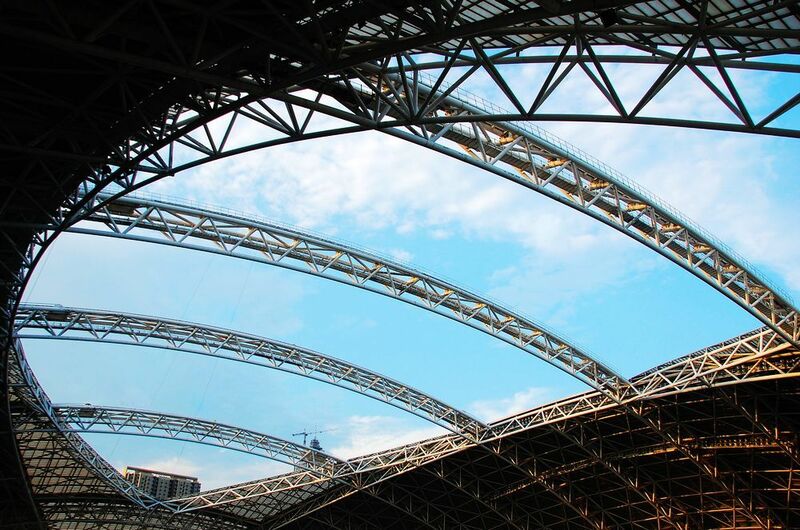 The roof spreads over a spider-alike domed frame, altogether weighing almost 10,000 tons. Each of the two mobile halves weighs 1,100 ton. Worth noting, the stadium isn't fully enclosed. In fact, all of the stands are open-air even with the roof closed. On one hand this allows for decent ventilation even in moderate weather, but on the other – the stadium isn't completely weather-proof. There are 22,000 fixed seats around the pitch and track, but temporary expansion is possible up to, perhaps slightly over 30,000.